In this picture you can see the runway in Narsarsuaq behind Inneruulalik farm. One day we will ride to the village Qassiarsuk and see the norse-ruins from viking Erik the Red. 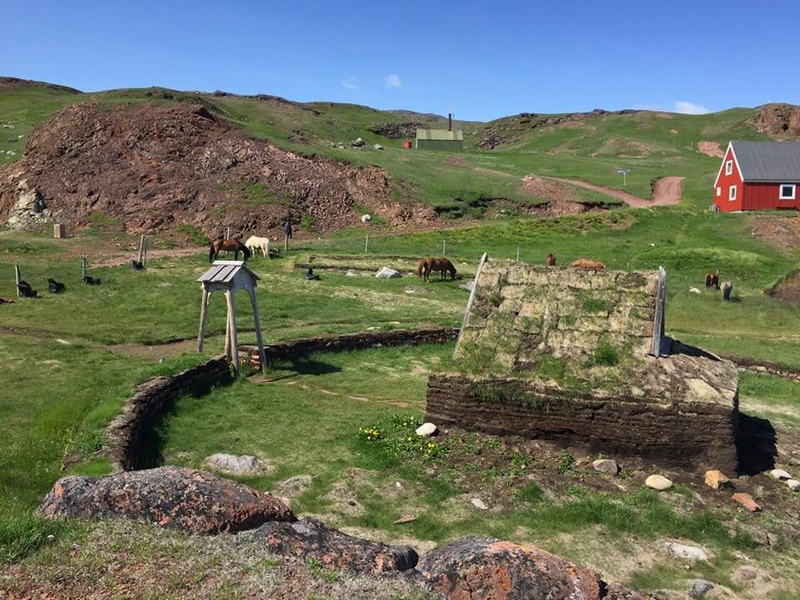 We will eat lunch for one hour at the norse-ruins and during summertime there is usually a guide to tell about Eric the Red and the buildings. 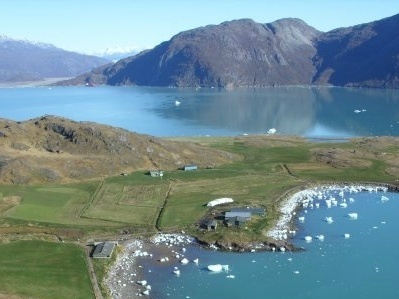 One day we will sail to see the the glacier Qooqqut that is located across our farm and behind Narsarsuaq. 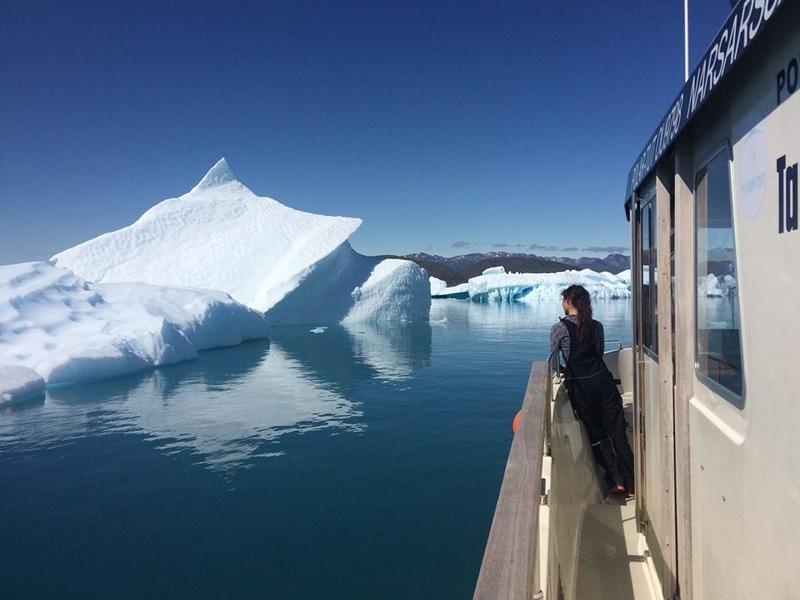 We will also sail by the icebergs to take pictures. 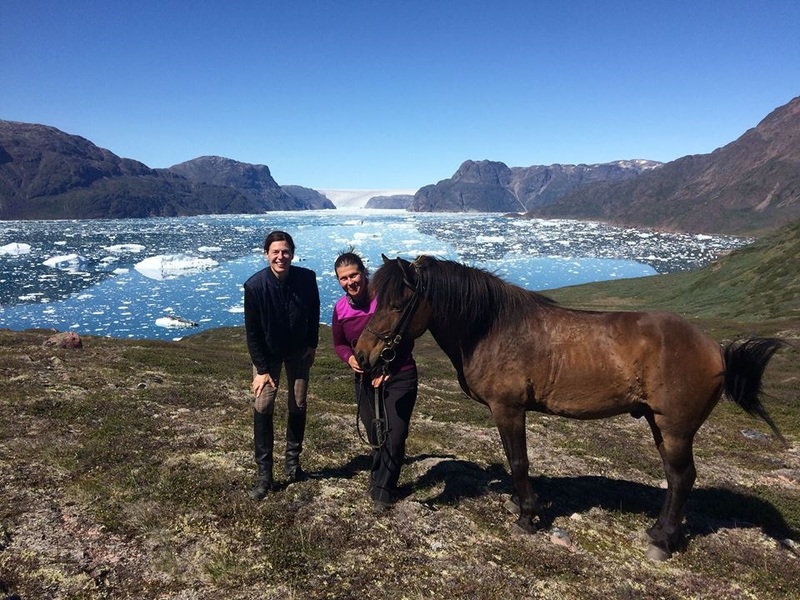 A guide will meet the guests at Narsarsuaq Airport upon arrival. 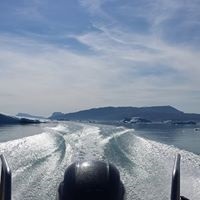 We will drive on a buss to the harbour and sail to farm Inneruulalik. The luggage will be driven up to the hostel. The guests will be welcomed and the rooms will be given to the guests. Dinner at farm house and overnight at Inneruulalik hostel. Introductory ride in the area of the farm. Dinner and overnight at Inneruulalik hostel. Ride to Sermilik Hostel. We will stop in Qassiarsuk and see the norse ruins while having lunch. Dinner and overnight at Sermilik hostel. 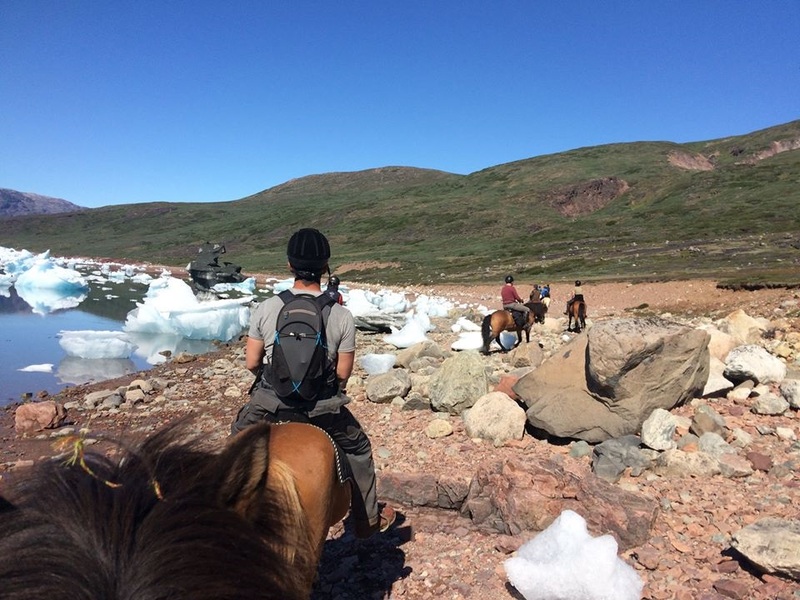 Ride around the area and along a beach with icebergs. Return to Sermilik hostel. 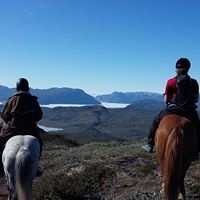 Ride back to Inneruulalik Farm. Horses’ rest day. Boat trip to the glacier Qooqut and also greenlandic traditional clothes will be shown. Ride around the farm to yet another beautiful point view. Dinner at farm house and overnight at hostel. 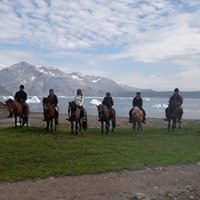 Guests will be sailed to Narsarsuaq and a buss will drive them to the airport. 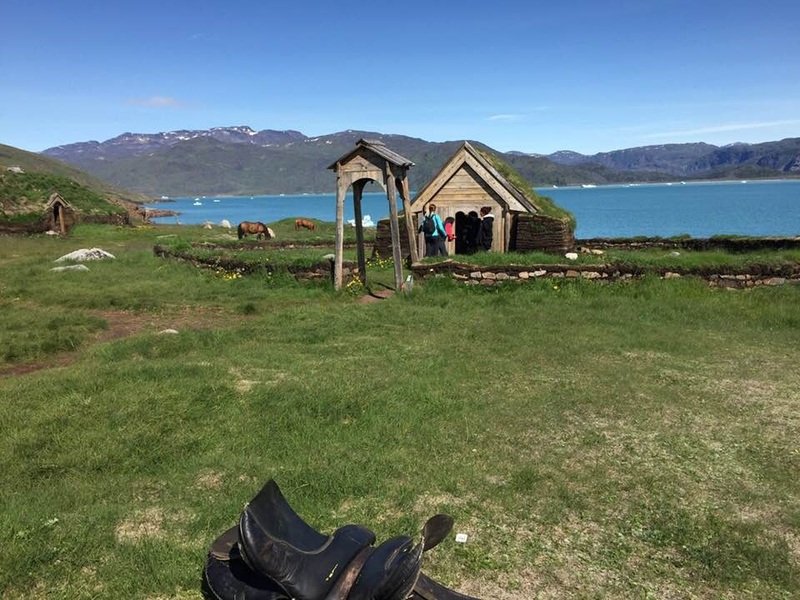 If we go early the guests can visit Narsarsuaq Museum.